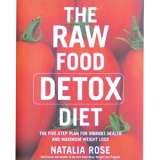 It was 1 year that I started eating Raw foods. I started on Oct 27th 2008.My goals are to deeply cleanse my body, mind, and spirit and transcend to a whole, new, more vibrant level of health. Specifically, washing away toxic emotions, normalizing my weight, and strengthening my liver and all the internal organs . I started drinking green smoothies and making more salad's incorporated juicing when I went online to Craiglist and found me a Champion Juicer ,since I heard they were a great Raw Ice Cream maker and also did decent juicing.Cost was $125.00 for me ,but new they cost about $235.00 or more.I am happy with it . I also want a new juice maker that the pulp will come out drier. If you juice you know what I am talking about. Now ,I am going to do a 10 Day juicefeast with a handful of folks . I have done 2 juicing sessions before. One was for 10 days another was 13 days. Wish me luck .I will need it. . Today Nov 1st is day 1 and so far I made a juice with Coconut water,dandelion,spinach,parsley,beet, cucumber, and Kiwi.Not a super loving taste ,but its tolorable. I am sipping it as I type this out. I ended my first day with 3 glolden delicious apples 1 small piece of ginger juiced in my Champion,and lightly warmed and topped with cinnimon, it was like hot apple cider,but not HOT! Yummy too..
We have had our Champion juicer for over ten years and we love it! Very easy to use and clean. That's important because we use it multiple times per day. I wish you well on the next ten days. Sounds like a healthy challenge!